A Brad Daugherty personal appearance, Brad Daugherty speaking engagement, or Brad Daugherty endorsement will reflect well on your company. 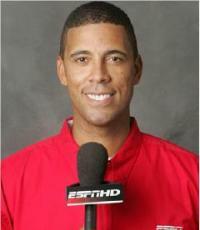 To hire Brad Daugherty now for any corporate appearance, fundraiser, motivational speaker event, personal appearance, autograph signing, or website endorsement please contact our celebrity agents at 1-877-6-SPORTS. We will contact Brad Daugherty or contact Brad Daugherty's agent and provide you with the booking fees and availability immediately upon your request. Direct Sportslink is the only sports speakers bureau and talent booking agency based in the United States securing only sports talent for corporations, associations, and organizations for motivational speaking engagements, personal appearances, and endorsements. We are the premier sports celebrity booking agency and a sports celebrity procurement expert. Accordingly, we will provide you with any relevant Brad Daugherty website information and booking agent details so that you can hire Brad Daugherty for your next event. Brad Daugherty was born October 19, 1965 in Black Mountain, North Carolina and is a former NBA player and college star at the University of North Carolina. Brad played basketball at Charles D. Owen High School in Black Mountain, North Carolina. There he led the Warhorses to the 1982 state finals. Daugherty accepted a scholarship to play at the University of North Carolina under legendary college basketball coach Dean Smith. Daugherty was one of the greatest players ever to play at the University of North Carolina. He entered college as a 16 year old freshman and was a two-time ALL-ACC first team selection, and a first team All-American in 1986. Brad was named to the ACC basketball All-Time team in 2002 and was inducted into the North Carolina Sports Hall of Fame. Brad averaged more than twenty points per game in his senior season with the UNC Tar Heels. Brad was taken as the first pick by the Cleveland Cavaliers in the 1986 NBA Draft. Daugherty averaged nineteen points and ten rebounds per game over eight seasons in the NBA and retired as the Cavaliers all time leading scorer (10,389 points) and rebounder (5,227). He played in 41 postseason games and led the Cavaliers as far as the Eastern Conference Finals in 1992. Brad was a five time All-Star (1988, 1989, 1991, 1992, 1993) and one of the greatest players in Cleveland Cavalier history. As part of the Cavaliers 30th Anniversary in 1999-2000, Daugherty was a unanimous selection to the All-Time Cleveland Cavalier team. He announced his retirement after the 1995-96 season. His #43 jersey, a number he picked as a tribute to NASCAR legend Richard Petty (who Daugherty lists as his favorite sportsman), was retired by the Cavaliers on March 1, 1997. 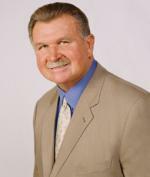 His business interests include car dealerships and commercial real estate. 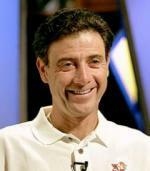 He has also been a college basketball analyst and NASCAR broadcaster for ESPN. He is active in many charities including hosting the Presbyterian Home for Children's annual golf tournament, which raises money in support of the home, located in Black Mountain. He also has sponsored an annual scholarship to help a child from Presbyterian Home receive a higher education. At UNC , he has given to the Sonja Haynes Stone Center for Black Culture and History and has served on the Board of Visitors and the athletic council of the General Alumni Association Board. He has also served with Andie McDowell as co-chair of the fundraising campaign for the Asheville Humane Society's new animal adoption and education center. Based on your interest in Brad Daugherty as a speaker or for a personal appearance, Direct Sportslink has provided you additional links below for other sports talent with similar appearance fees, speaker topics, and categories that match Brad Daugherty.